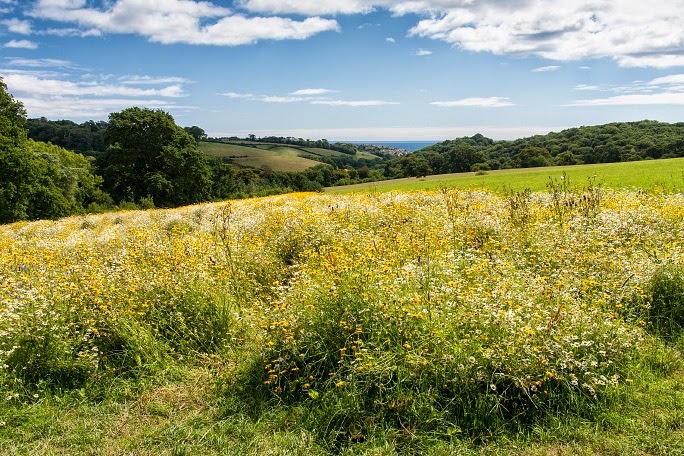 Image the scene, the Cornish splits you made earlier are quietly rising in the oven, you look out of your cottage window and marvel at the meadow awash with summer flowers as you fill your Cornishware jug and bowl with jam and cream. 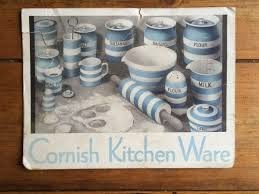 This alternate blue and white striped tableware is just perfect because Cornishware is the epitome of a Cornish life style, and after all, the inspiration for this collection is Cornwall's the blue skies and the crested waves of is beautiful clear sea. Twenty First Century: A Fancy Tomb Will Not Do! Might burst the bands of the dreamless sleep that wraps the mighty dead!" 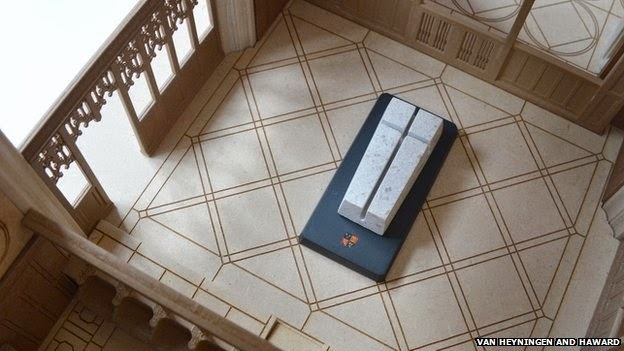 So the design for King Richard III's new tomb has been revealed and I must say that I am so pleased that this simple modern design has been chosen, it is a perfect reflection of the man I believe Richard III to have been. In times past, the royal tomb was a state of the art piece of medieval architecture that was planned years in advance. The greatness of these royal tombs was a reflection of the glorious being a king considered himself once to have been, it is a fine example of royal chest beating and shouts loudly of "take note of how great I once was" You can be sure that these men were extremely worried about the consequences of actions taken in life once they had shuffled off their mortal coils and were winging their way to heaven. They saw to it that the clergy were paid to light candles on a daily basis once they were entombed, and then yearly on the anniversary of their deaths. More importantly they made sure that prayers were offered for their souls, for fear of eternal damnation was the main driving force behind Medieval and Tudor funeral art. In encasing the royal remains in a magnificent tomb the medieval man protected and saved the kings soul, this was how it was done then but not how we should go about the process today. 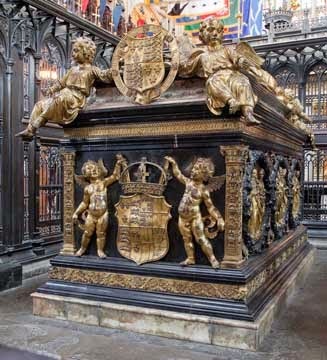 It would be wrong of me to suggest that Richard would never have planned a tomb as elaborate as that of his successor Henry VII’s, seen here in all its gilded glory, if he had survived to make the decision himself. 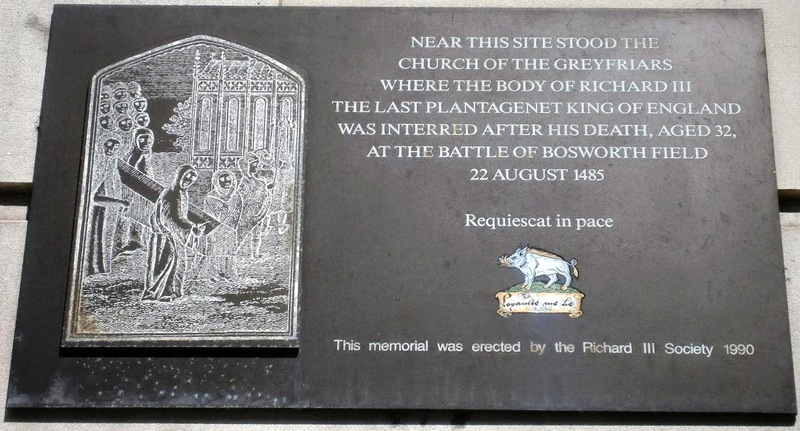 We just do not know what Richard wanted, when he died in battle in 1485 he took his plans to his grave at Grey Friars and it was left to us to design a tomb that would befit a king. 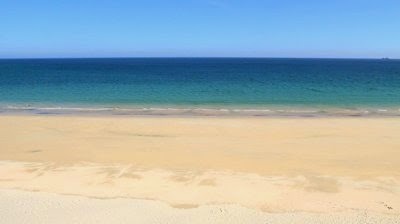 When the plans for the new design was first released last year most people disliked it and considered it not at all suitable for a king of England, I however thought differently. 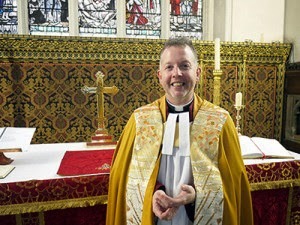 In September of last year I wrote in my blog Richard III, Religion, Kingship and the World today. How right he is, Richard should be remembered as a fifteenth century king and not some romantic hero out of a Walter Scott novel placed with an overly decorated, fussy caged box. 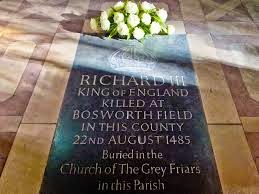 As you may know I am as passionate about Richard III in his own era as I am about Richard in today's world. This simple, unembellished tomb design I feel, brings together both. NB I see that the design of the plinth has changed from the one I initially described above. Gone is the circular floor design and in its place a rectangular black marble step that keeps the three Ricardian icons, the boar, Richard's motto and the white rose.